The Motorcycle Accident and Wrongful Death Attorneys at the Wolfson Law Firm in Miami have helped the families and loved ones of motorcycle drivers and passengers who were killed in unfortunate and tragic motorcycle accidents. Our lawyers have seen the impact of a sudden and accidental death resulting from a horrible motorcycle accident. Families, friends and loved ones of a motorcyclist killed in an accident are affected in many ways. They feel the loss personally, emotionally and financially. If you lost someone in a tragic motorcycle accident in Miami, please call us at (305) 285-1115 and let our wrongful death lawyers in Miami help you and your family. The personal injury attorneys and wrongful death lawyers in Miami at the Wolfson Law Firm have helped families since 1963. Our lawyers will handle your case from your first contact through a reasonable settlement, jury verdict or appeal when necessary. 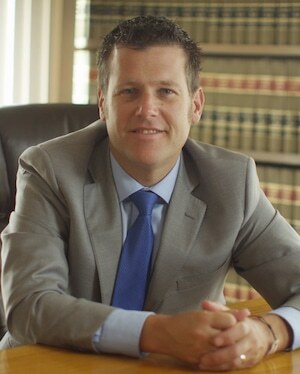 Our Managing Attorney Jonah Wolfson is a bilingual motorcycle wrongful death lawyer in Miami. We can meet with you and your family at your home or in our offices at 3399 SW Third Avenue in Miami. Don’t be a silent victim. Get the answers you need and deserve. Just call us at (305) 285-1115 for a free and confidential consultation. In 2012, more than 4900 motorcyclists were killed in crashes. In 2013 that number decreased slightly but still resulted in more than 4600 motorcycle related fatalities. 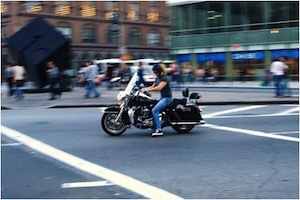 Two-wheeled motorcycles were involved in more than 92% of the fatal accidents. Of all traffic related deaths, motorcycles accounted for more than 13% of the total in 2013. Overall, drivers were more likely to die in a motorcycle accident as opposed to passengers. In 2013, 94% of the motorcycle deaths were riders and approximately 6% of the fatalities were passengers. In Florida, 467 people died in motorcycle accidents in 2013. Nearly 63% of those fatalities involved some level of intoxication on the part of the motorcycle rider. Helmet use played a significant role in Florida motorcycle accident fatalities. In 2013, nearly half of the motorcycle accident deaths were unhelmeted riders. If you were injured in a motorcycle crash, our lawyers can tell you what you should do after a motorcycle accident. We can also help you understand the common causes of motorcycle accidents as well as the typical injuries from motorcycle accidents. Our Miami personal injury lawyers can also assist you in understanding the evidence necessary to prove a motorcycle accident injury case. Just call us and we will be happy to help you understand the difficulties of surviving a motorcycle crash. If you have lost a family member or loved one in a fatal motorcycle accident, you will face one of the most difficult times of your life. Our Miami motorcycle accident wrongful death attorneys can help you through this period of your life. We understand there is nothing anyone can do to bring your loved one back. But what our Miami personal injury lawyers can do is to help you and your family to make sure the responsible person is held accountable. We will fully investigate the causes of your loss and determine who may be responsible for your terrible loss. Our Miami wrongful death attorneys will look into the conditions of the roadway for defects, debris or construction error. Our lawyers will examine the motorcycle itself to determine if there was a product defect that caused or contributed to your loss. Our firm will employ the necessary experts to assist in our pursuit of justice for you and your family. If you or a loved one was tragically killed in a motorcycle crash, call the Miami Personal Injury Attorneys and Wrongful Death Lawyers at the Wolfson Law Firm. Let us help you and your loved ones in the same manner that we have helped other clients since 1963. Jonah Wolfson is our Managing Attorney and he is a bilingual wrongful death lawyer and is ready to speak with you and your family right now. Our motorcycle wrongful death litigation attorneys in Miami have helped clients from the communities of Miami Shores, Lake Worth, Wilton Manors, Edgewater, North Miami, Florida City, Key Largo, Weston, Hollywood, Key West, Hallandale, Islamorada, Edgewater, Miami Lakes, Pompano Beach, West Palm Beach, Ives Dairy Estates, North Beach, Medley, Homestead, South Beach, South Miami and all of the wonderful neighborhoods of South Florida.